Description: This Pirate build-a-mecha chassis comes equipped with Turbo Speed! Avoids hits so you can focus your sights on your opponent. 100% Chance for "Turbo Speed Activated!" -70 to Hit for 4 turns. 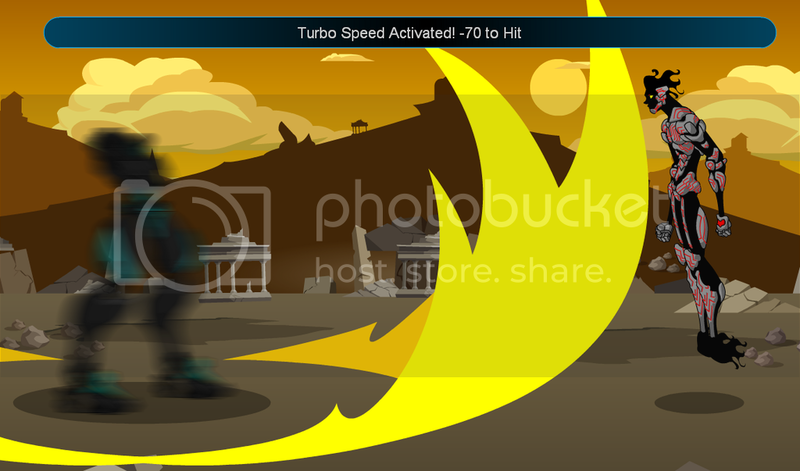 Description: Turbo Speed - avoid enemy hits! Thanks to speedy fighters for correction!